MALAYBALAY CITY (BukidnonNews.Net/29 December) – The Bukidnon provincial government is rolling out at least P300 million in livelihood projects in the first quarter of 2018 designed to alleviate poverty incidence in the province, board member Nemesio Beltran Jr. said. “The year 2018 is expected to usher in a robust economy to the Province of Bukidnon,” he said in his contribution to “Bukidnon 2018: Public Outlook” series. Beltran, of the province’s second district, said the livelihood, agriculture and business sectors would surely perk up as the provincial government is set to roll out the fund in the first quarter next year. He said infusion of about P1.3 billion to maintain all barangay roads in the province would bear fruit next year. 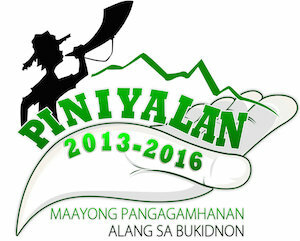 He added that this infrastructure expenditure would surely boost Bukidnon’s economy. “Hoping prices of commodities will remain steady and tax exemptions for P20,000 a month income earners will be implemented in 2018,” said computer shop owner Maria Fe Brazil, 46, of Patpat, Malaybalay City. Former television reporter Roy Perfuma, a university history educator, said he expected the allocated infrastructure projects in the province would be in full swing next year, given the “build, build, build agenda of the Duterte administration.” He said he is looking at the Bukidnon Domestic Airport in Don Carlos town and the proposed P500-million provincial sports complex as examples. “This would mean greater job opportunities for those in the construction sector,” he added. Manolo Fortich town mayor Clive Quiño said he wished to see his municipality as the site of the first Public Economic Zone in the province and a preferred investment site. He said they envisioned a tourism hub, which involves not just the able capitalist but also the barangays and the marginalized sectors. “More importantly, I wish to see every sector of society more empowered and actively participating in making Manolo Fortich as a community inhabited by happy, peace-loving and responsible citizenry,” Quiño added. Engr. Winnie Angit, municipal planning and development officer of Kitaotao, said he sees a robust local economy because of the influx of investment for support infrastructure and utilities for agriculture, manufacturing and social services sector. Broadcaster and businessman Armando Benabaye, of the Kapisanan ng mga Brodkaster sa Pilipinas (KBP)-Bukidnon chapter, said he looks forward to “faster development” in Bukidnon in 2018. Dr. Lourdes G. dela Torre, a Maramag-based educator and peace advocate, said Bukidnon is observed to be developing fast using the modernist perspective. She added that lots of infrastructures are in place to cater to the needs of investors for a “favorable investment climate”. She said this climate includes the presence of better roads, bridges and stable power supply. Perfuma added that that government should pay immediate attention on infrastructures badly damaged by TS Vinta, citing the old Batangan bridge, which was washed out by flood. Langub said it is the Valencianos’ wish that the old bridge will be included as priority in the agenda of the provincial government as well as the national government. But Felix Vergara, board member of the First Bukidnon Electric Cooperative (Fibeco), said the energy sector, especially the electric cooperatives as distribution utilities, has to brace for possible exponential increase in electricity bill due to the implementation of the Tax Reform Acceleration and Inclusion (TRAIN). This he said is due to increased tax levy on imported fossil fuel like coal. He, however, maintained that there is good prospect for the province as bullish investors are coming in. “[This means] more energy sales,” he added. Vergara noted that two other game changers are the Bukidnon Domestic Airport in Don Carlos town and the Pulangi hydroelectric power plant in Kibawe. Dr. Gloria Ramos, a retired public administration professor, said there should be more investments and production in Bukidnon in 2018. But she lamented the lack of concrete streets in the city. 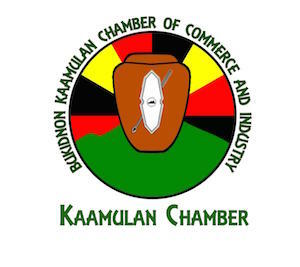 Roderico Bioco, president of the Bukidnon Kaamulan Chamber of Commerce and Industry Inc. (BKCCII), said major power generation investments are coming online but still expected alleged “poor management and bad governance in our electric cooperatives”. But he is optimistic that the poverty situation will improve with incidence going down or at least “it will plateau” next year. Bioco said one of his bases is the number of farmers who planted white corn because the prices went up. But he added that the situation in the sugar industry is different where he expects prices to dive. He said planters would likely diversify to other crops. He welcomed the idea of infusion of P300 million through livelihood projects but he said the challenge is in the quality of intervention that could reach every household whose income is identified below the poverty line. Bioco said another challenge aside from limited resources is how to prime up the local economy to provide job opportunities. “We are also relying on private sector investment and national government programs,” he added. Talaandig Datu Vic Migketay Saway said they are expecting that the province’s problem of hunger and poverty would be solved in 2018. His brother, musician and visual artist Rodelio “Waway” Saway, said they hope that the province will be removed from among the ranks of the poorest provinces in the country. Emma Molina, of the civil society group Barog Bukidnon, said one way to see if poverty is already solved is that there will be no longer poor persons falling in line asking for cash assistance at the Capitol Grounds. “Give them permanent livelihood instead,” she added in her insights. “Bukidnon should no longer be considered as one of the poorest provinces in the Philippines, but the richest,” Molina added. Quezon City-based Garie Briones, from Casisang, Malaybalay City, said he wished Bukidnon were not in the list of 20 poorest provinces. “It’s very embarrassing and could be an indication of how the local government units are poorly managing resources or a lack of foresight or plan,” he added.